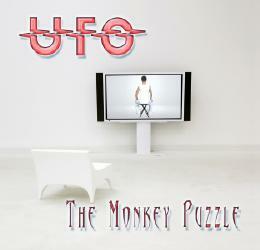 If you pre-order the CD, there is a special bonus CD that can be downloaded from the website. Pre-order starts Monday 8/7 and the price is $16 USD + $3 USD airmail shipping worldwide via PAYPAL. 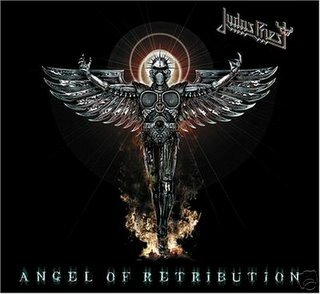 I can personally vouch for the quality of the music and the package that Andrew at Melodicrock.com puts out. It’s always a great CD and the amount of material you can get for $19 USD by pre-ordering is a great value. Andrew’s website is one of the most informative out there, this CD helps to offset the costs of running it. 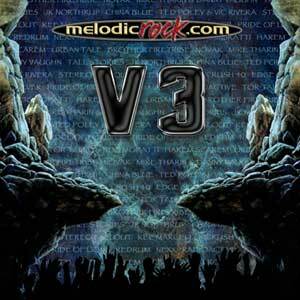 Also, there is a special “members only” section of the website, Melodicrock Xtra, that is $35 USD per year. The Xtra section is packed with exclusive downloads of videos, songs, albums, live material…..it’s an excellent value as well. The Xtra section’s cost also supports the websites running costs. More info on Melodicrock Xtra can be found from the front page of the Melodicrock.com website. The details of CD #3 can be found on the front page (news page) under Monday, July 31, 2006. Mr. Bonnet takes a last kick at the can with Dangerous Games. It’s the same band except, of course, on guitar. Danny Johnson (ex-Alice Cooper) joins in the fun, replacing the now departed Steve Vai, who moved on to David Lee Roth’s solo band. It’s ’86, Hard Rock like Alcatrazz has exploded on FM radio and MTV but Alcatrazz hasn’t broken the U.S. market. Probably due to mounting label pressure, this album is more commercial (watered down). It’s not a bad album, just mediocre, a 7 on a 10 scale. There are 2 covers: It’s My Life (The Animals) and Only One Woman (The Marbles). Both aren’t bad but are they necessary? There are some good tracks here: Undercover, No Imagination, and Ohayo Tokyo (my personal fave). Ohayo Tokyo could have easily fit on MSG’s Assault Attack or the Alcatrazz debut. My problem with this album is lack of guitar and too much keyboard. Obviously going for a commercial sound but “guitar rock” is what sold in 1986. The drums sound bad too, electronic…..surprising because I think Uvena did an excellent job on the first two albums. Can’t blame the guys for getting softer, everyone was making money and Alcatrazz tried to ride the wave. CDs have been coming from everywhere: Ebay, the local shop, La-La, traders, CD Universe…..the list keeps growing! Here’s what’s crossed my desk and made it to the pile…..
Motorhead – Iron Fist (2 CD Deluxe Edition) (2005) – Slowly I am adding these great sets to my collection, I just don’t want to pay $20+ for them. Picked this up for $12 sealed. Silent Force – Worlds Apart (2004) – Pure Power Metal with former Royal Hunt singer D.C. Cooper. Hurricane – Over The Edge (1988) – Finally! After holding out for a decent price, I finally added this OOP CD to my collection. I paid $40 using BUY IT NOW but this usually goes in excess of $60. Rainbow – Live In Germany 1976 (2 CD) (2001 reissue) – This is a reissue of Live In Europe on Spitfire Records. I got it for a couple of bucks and it was still sealed. Fills a hole in the Rainbow collection. – Picked all these up for about $25 from a trader on one of the forums. Wig Wam has been making some noise in Europe and Japan, same thing with Pleasure Maker. Sammy Hagar & the Wabos – Livin’ It Up (2006) – Just got it today, haven’t listened to it yet. Sammy can be hit or miss for some people, same with his days in Van Halen. I dig Sammy so I’ve been looking forward to this, hopefully its good. Now for my most anticipated purchase of the year so far…..one of the best, most under-rated, bands I have ever heard…..
Riot – Army Of One (2006, Japanese import) – I pre-ordered this bad boy from CD Universe about 3 weeks ago. To be honest, I had no idea that Riot was releasing this album so soon. I knew that Mark Reale and co. were in the studio but the official Riot website rarely gets an update. I expect this album to crack my best of 2006 easily. A review will be up Monday so I can absorb this. It’s New Release Tuesday and Sammy Hagar’s new album, Livin’ It Up, came out today. The local shop has it for 11 bucks so I’m grabbing it later tonight. Anyone else picking this one up? IRON MAIDEN has announced that they will be beginning their 2006 World Tour with eight dates across the USA and three dates in Canada starting October 4 in Hartford, CT.
Tickets for the shows will start going on to the general public from the weekend of August 12, with details of local box office and on-sale times at http://www.ironmaiden.com. IRON MAIDEN has also arranged for a special fan club pre-order for all shows beginning August 1 and running through to the public on-sale date. Details of this will be sent directly to them beforehand. This follows the recent announcement that their highly anticipated new studio album A Matter of Life and Death will be released on September 5 on Sanctuary Records. Says vocalist Bruce Dickinson: “This is the first time we’ve started a tour in the States for many, many years. It’s going to be great to get out there so the fans can get to hear the new material and see the new show first for a change. We’re all incredibly pleased with the album, and the tremendous response of those people who have had the chance to hear it so far. Their reaction has been phenomenal and we expect to play a lot of it on tour. The upcoming North American dates represent the beginning of the A Matter of Life and Death World Tour, which will continue into Japan and then travel through to Europe, finishing with two shows at London’s Earls Court Arena just before Christmas. All the shows on the European leg have been on sale since March and reaction to the dates has been incredible, with the majority of shows already sold out months in advance. Accompanying IRON MAIDEN on the USA tour (excluding the Hartford and Los Angeles ) are new U.K. metal sensation, BULLET FOR MY VALENTINE, who have been receiving rave reviews while on tour with GUNS N’ ROSES throughout Europe. Just to let everyone know, I’ll be at the Oct. 6 show in Boston, MA…..I’ll be the guy in the Saxon shirt (there aren’t many of those around!). I was hoping to get in another post to end my Graham Bonnet week that summarized some other notable releases. Unfortunately, work was busy, I had a meeting, and I got lost in Boston Sunday afternoon. So here goes….. I had a major resurgence in collecting in 1996, I had taken a couple years off because I was so down on the whole Alternative movement. I started to collect more obscure bands, older bands that missed out on the limelight back in the day. All the stars aligned in 1998 with going online, finding a few independent record stores, and picking up The Collector’s Guide To Heavy Metal by Martin Popoff. I started to buy up old Metal mags and fanzines (Metal Forces) to find some of those old bands that I heard of once but forgot about in the face of MTV. I had Rainbow – Down To Earth and I thought the singer was awesome and, with a little research, I found MSG – Assault Attack. Graham Bonnet was now one of my favorite singers. The Alcatrazz catalogue sealed the deal and I had to have as much Bonnet as my wallet would allow. The local “mom & pop” stores carried a lot of old albums in various formats so I was able to catch up on my Bonnet collection fairly quickly. I have been able to pick up a few solo releases: Line-Up (1981), Underground (1997), The Day I Went Mad (1999), and The Singer’s Anthology (1990). The Singer’s Anthology features songs from Bonnet’s early days with The Marbles as well as some Rainbow. I was also able to pick up some band projects like Forcefield III – To Oz And Back (1989) w/Cozy Powell and Blackthorne – Afterlife (1993) w/Bob Kulick, Anthem – Heavy Metal Anthem (2000) and another album with Impellitteri – System X (2002). The guy just doesn’t stop singing at 59 years old (b. 1947)! And he still sounds really good with close to the same power and range he had earlier in his career. He’s got another album coming up, Welcome To America, with the Taz Taylor Band that’s due on August 26. For a good discography overview, click here. I noticed the Graham Bonnet website hasn’t finished their discography section yet. According to MaidenNorway.com, Maidenfans.com relayed a bulletin posted by the Italian MAIDEN fan site http://www.eddies.it claiming the Italian release date of IRON MAIDEN‘s 14th studio album, A Matter of Life and Death, is August 25. As previously reported, EMI was planning to release the album August 26-28, depending on the coutry. New information, on the other hand, suggests that the Italian release will be August 25 — which is probably more likely as it lands on a Friday rather than a Saturday. * One hour of video footage including: documentary video on “Making of A Matter of Life and Death”, “The Reincarnation of Benjamin Breeg” video, exclusive photos from recording sessions of “Different Worlds” and a photo gallery. 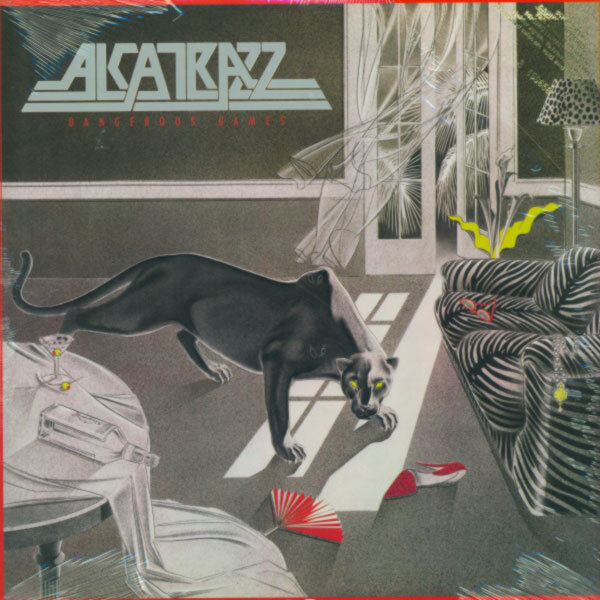 After Alcatrazz’s 3rd album, Dangerous Games (1986), the band was laid to rest in 1987. Graham Bonnet’s resume now well reknowned, he is asked to take over the vocal duties for guitar wizard Chris Impellitteri’s band, Impellitteri. To my ears, this is basically Alcatrazz (Mark IV). You’ve got the same instrument set-up and good backing band. Add the Voice, the Guitar God, and have them co-write all the tracks except the covers. The formula has been used and done better. As an added bonus, Chris Impellitteri is the Producer, sealing the deal for every wanking solo making the album along with two unnecessary instrumentals. Let’s dump the two instrumentals: Playing with Fire and Somewhere Over The Rainbow. I could see Chris wanking all over Playing With Fire, all the other Bonnet guitarists got a solo instrumental but Somewhere Over The Rainbow? Absolutely no need for such a track to be on any album. Sure Chris plays it nicely but, if we’re forced to have it, does it need to clock in at just over 5 minutes? Let’s also dump the Rainbow cover Since You’ve Been Gone. Yes, it’s Bonnet’s most popular song but it’s a terrible rendition. The gang vocals on the chorus are annoying and the guitar is mixed way up front, taking away from the vocal. The solo is also way over the top, nothing Ritchie would do. This leaves us with 6 songs….. Stand In Line is a great opener and single. 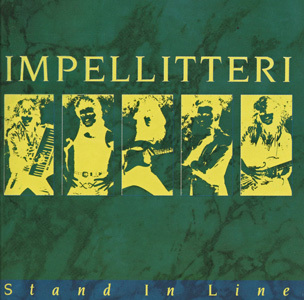 Impellitteri plays within the context of the song, making it enjoyable. It easily could have been on any of the Alcatrazz releases. Secret Lover is a fast paced Metal track, perfect for Chris to wail through. Tonight I Fly is mid-paced with a chunky riff and keyboards that accompany, not drown out, the rest of the band. Easily Bonnet’s best performance and my favorite song on the album. White And Perfect is another Alcatrazz-like song that could have fit on Disturbing The Peace. Leviathan is slow and mysterious, a creature lurking and waiting to strike. Goodnight And Goodbye revisits the ’80s shred fest. Bottom line – an average release with only 6 actual songs. Bonnet’s singing is powerful but the songwriting is similar to previous efforts. The keyboards seem to be trying to compete with the guitar instead of complimenting it. Chris Impellitteri is definitely a talented guitarist but he likes to play as many notes as possible (even if they aren’t needed) rather than stay within the song and add some balls. Like the rest of Bonnet’s guitar maestro’s (Blackmore, Schenker, Malmsteen, Vai), impellitteri is at his best when he plays in the song rather than showcasing himself. I don’t reach for this very often, maybe to hear Stand In Line or Tonight I Fly. 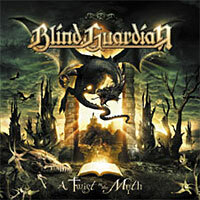 Blind Guardian’s new album, A Twist In The Myth, will receive an earlier release in Japan, through Victor Records on August 30th. As previously reported, the album will be released elsewhere in September through Nuclear Blast with the following tracklisting: ‘This Will Never End’, ‘Otherland’, ‘Turn The Page’, ‘Fly’, ‘Carry The Blessed Home’, ‘Another Stranger Me’, ‘Straight Through The Mirror’, ‘Lionheart’, ‘Skalds And Shadows’, ‘The Edge’, ‘The New Order’. The first pressings of the Japanese release will feature an exclusive bonus track and booklet. The U.S. release is scheduled for September 5th.